Microsoft Office 365 it is a powerful service that helps you unleash your best ideas, get things done and stay connected on the go. Simply sign into Microsoft Office 365 (non-commercial use only) to open your applications, documents, and custom settings on any PC. Combine Microsoft Office 365 with Microsoft Windows 8 for the best experience yet, with even more ways to work the way you want. 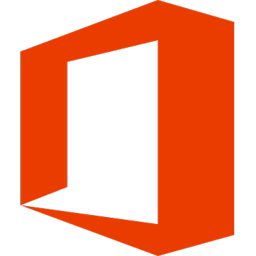 Microsoft Office 365 arrives in four editions: Microsoft Office 365 Home Premium, Microsoft Office 365 Small Business Premium, Microsoft Office 365 ProPlus, Microsoft Office 365 Enterprise. Word 2013 is cleaner, sleeker, easier on the eyes. New templates and design tools help you put the finishing touch on documents. 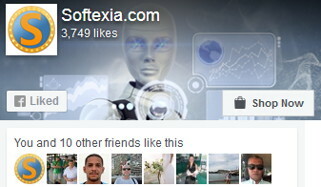 And you’ll find new and updated ways to share and work with others. Excel 2013 lets you enjoy new ways to explore your data more intuitively. Visualize, analyze, and display results with a single click. And when you’re ready, it’s easy to share your freshly discovered insights. PowerPoint 2013 allows to create more striking presentations. Select a theme, add a design variant, align text and pictures, and more. Work on the same version with others at the same time, and present with more confidence and control. OneNote 2013 is a digital notebook for creating and storing all your notes. Your notes are automatically saved and searchable so you have them when you need them. And when you’re on the go, they travel with you on your favorite devices or nearly any browser. Outlook 2013 helps you manage your busy life more easily and efficiently. You get new and improved ways to find information quickly, handle email, coordinate schedules, keep current with contacts and social networks, and tame your unruly to-do lists. Discover new and better ways to create, edit, and browse – using a keyboard, pen, or touchscreen. Capture and organize all kinds of information in OneNote – notes, pictures, web pages, voice memos, and other media – and easily share them with others. With your documents saved online in SkyDrive or SharePoint, you can review and edit simultaneously with others, with the latest changes and comments accessible to the group. Share documents easily from SharePoint or any Office application. And track the people you’ve shared them with. Help your users do more on any device. Manage increasing volumes of email, and work together more effectively as teams. The newest Lync is an enterprise-ready, unified communications platform. It connects people everywhere on Windows 8 and other devices. Project Online is an online solution that gives you flexible options for achieving strategic priorities while helping your team deliver efficiently from virtually anywhere. Try Project Server 2013, the on-premises solution to set clear strategic priorities and help your team execute effectively against them. With Project Professional 2013 you can call or instant message right from your project with Lync. Just two new ways to improve collaboration while keeping your team productive and on track. Create diagrams more intuitively – including new and updated shapes and stencils, improved effects, and themes. Make your diagrams more dynamic by linking shapes to real-time data, and then share them with others via Visio Services in SharePoint.